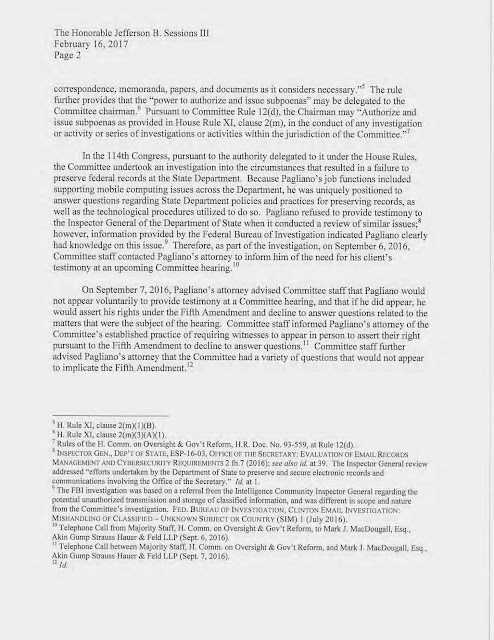 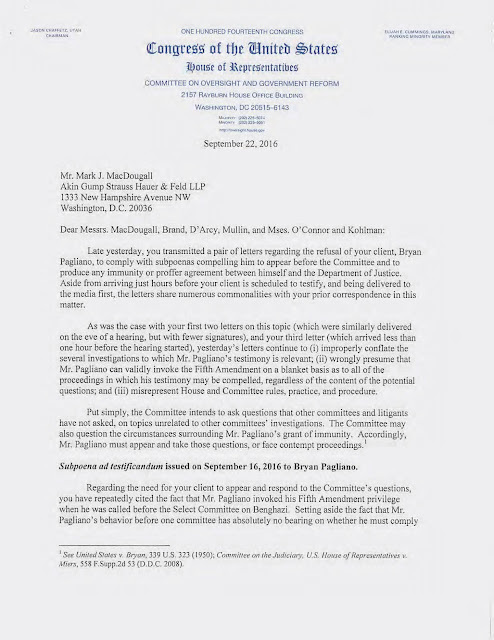 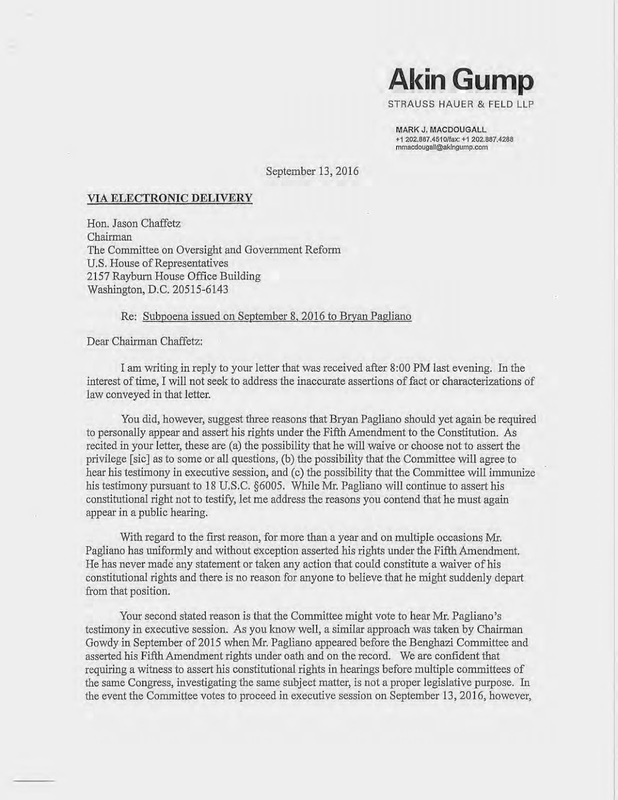 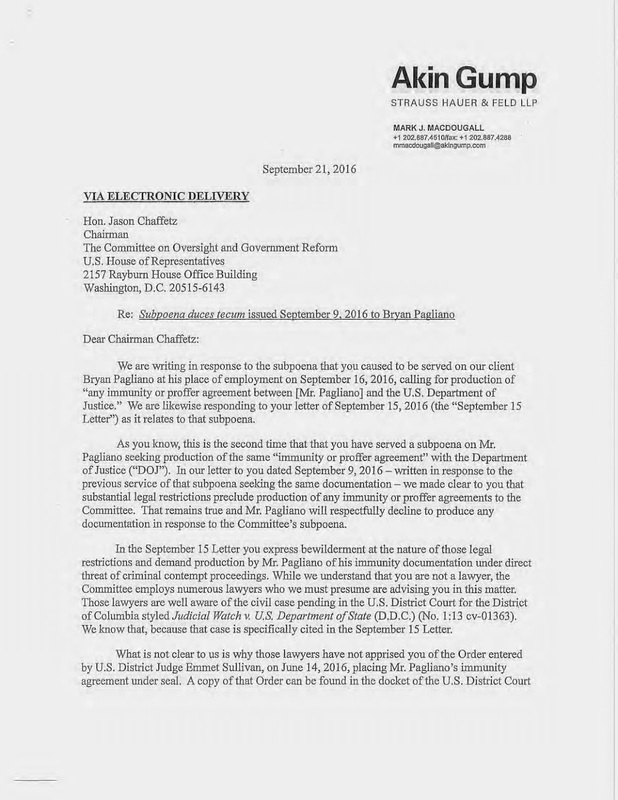 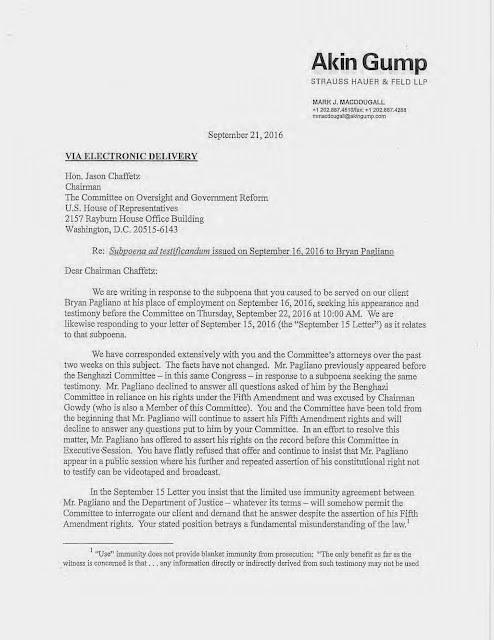 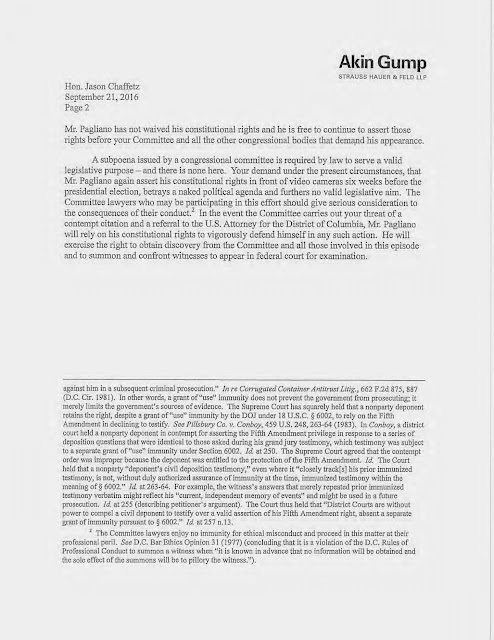 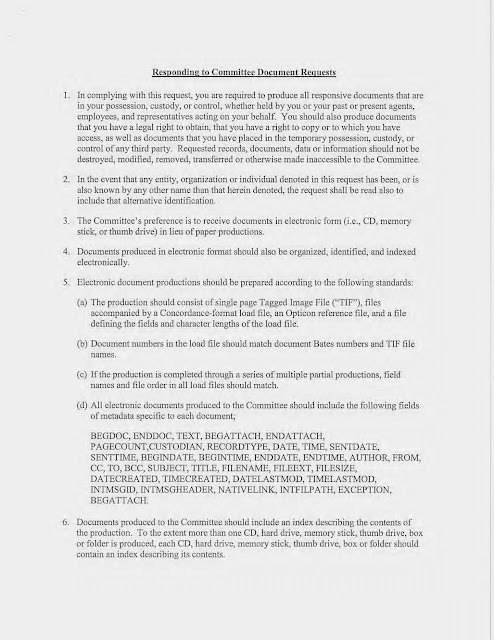 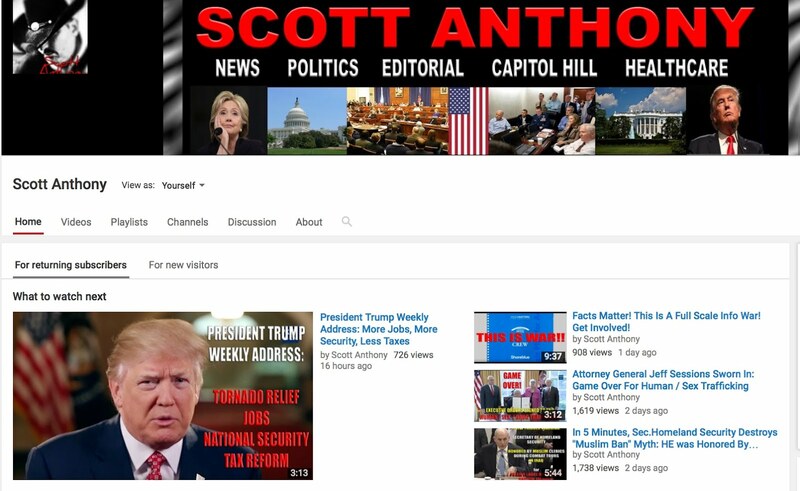 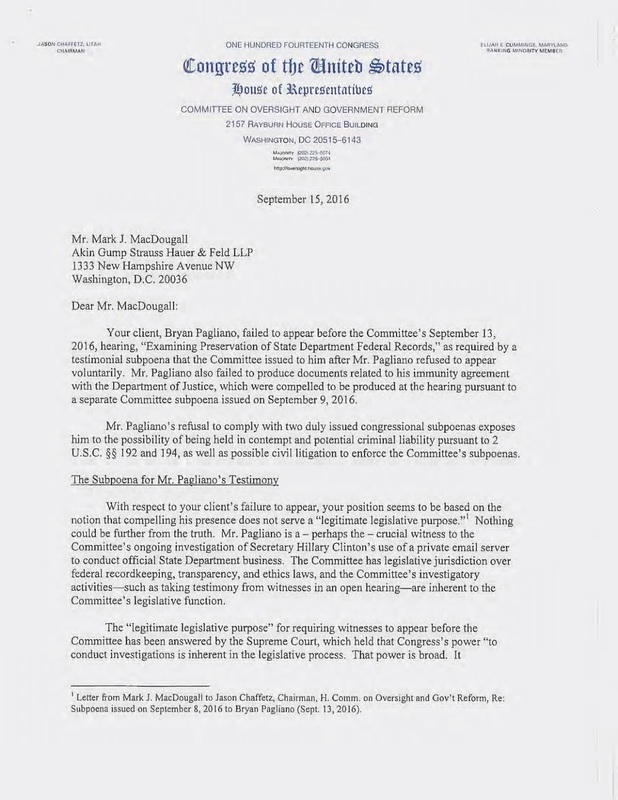 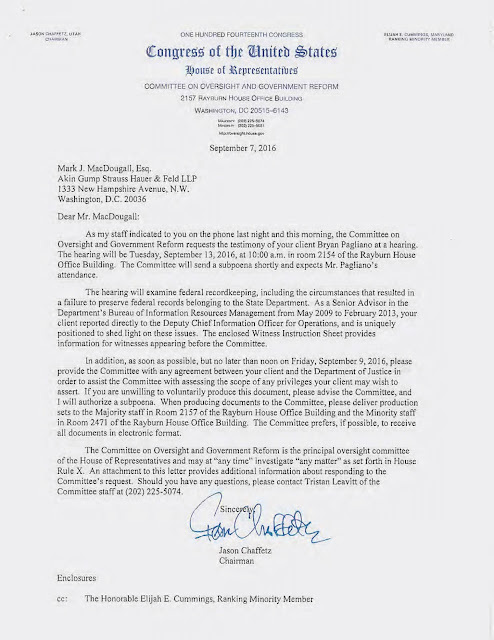 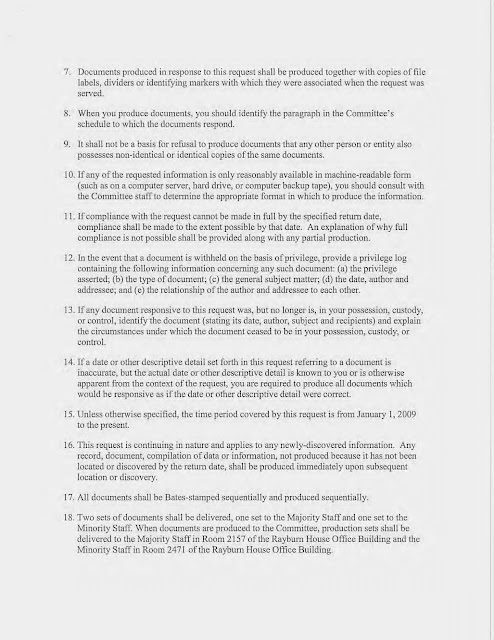 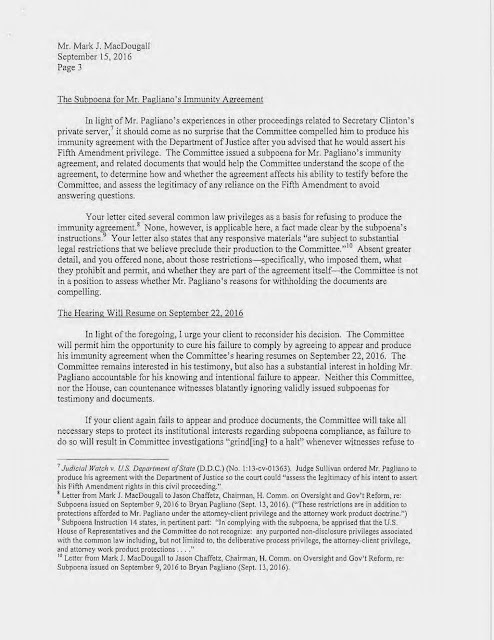 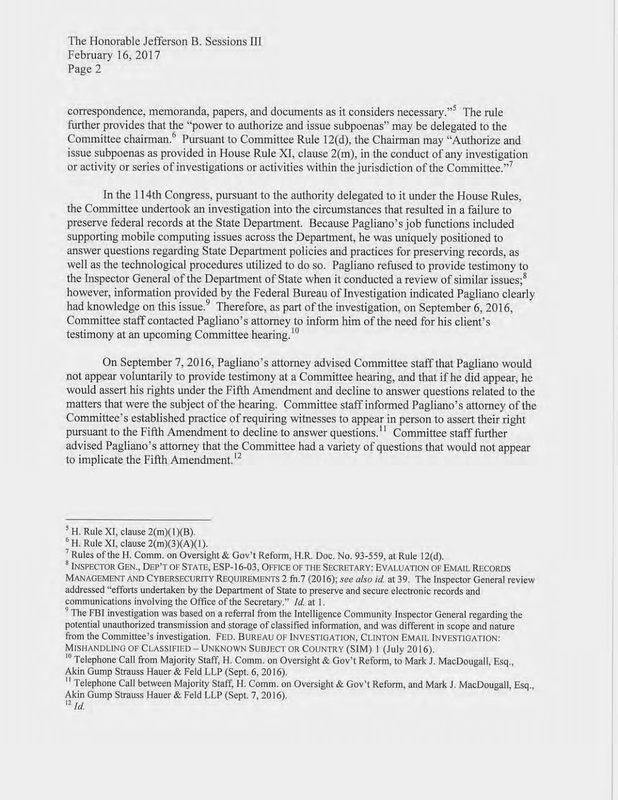 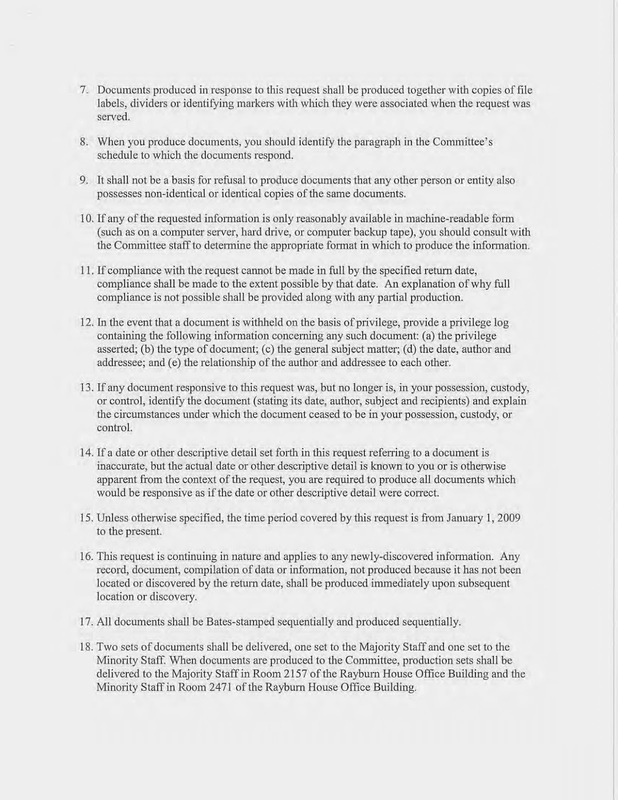 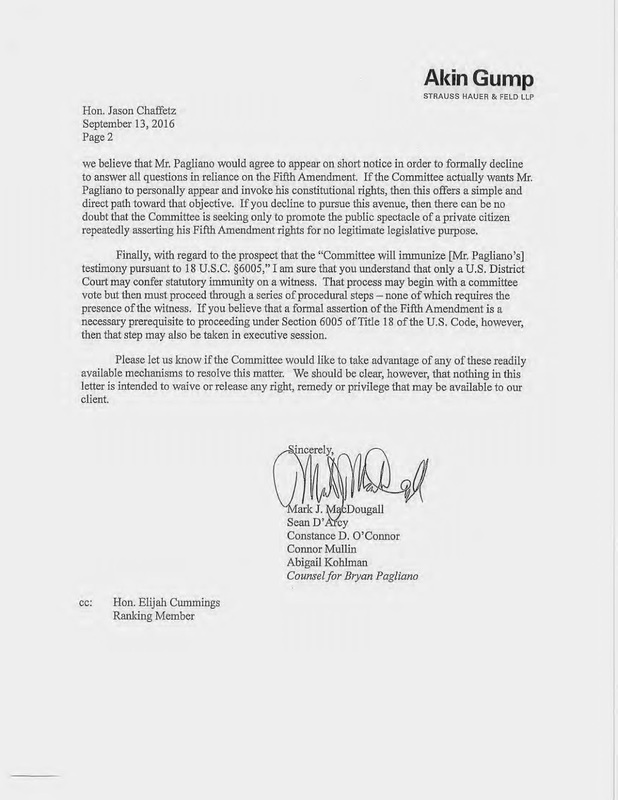 Scott Anthony Archives: Jason Chaffetz Pursues Criminal Charges Against Hillary Clinton Aide Bryan Pagliano: "Failure To Appear Before Congress"
Jason Chaffetz Pursues Criminal Charges Against Hillary Clinton Aide Bryan Pagliano: "Failure To Appear Before Congress"
Bryan Pagliano, a State Department / Hillary Clinton I.T. Aide, is now being referred to the Justice Department / Attorney General Jeff Sessions, on criminal charges for "FAILURE TO APPEAR" before Congress. 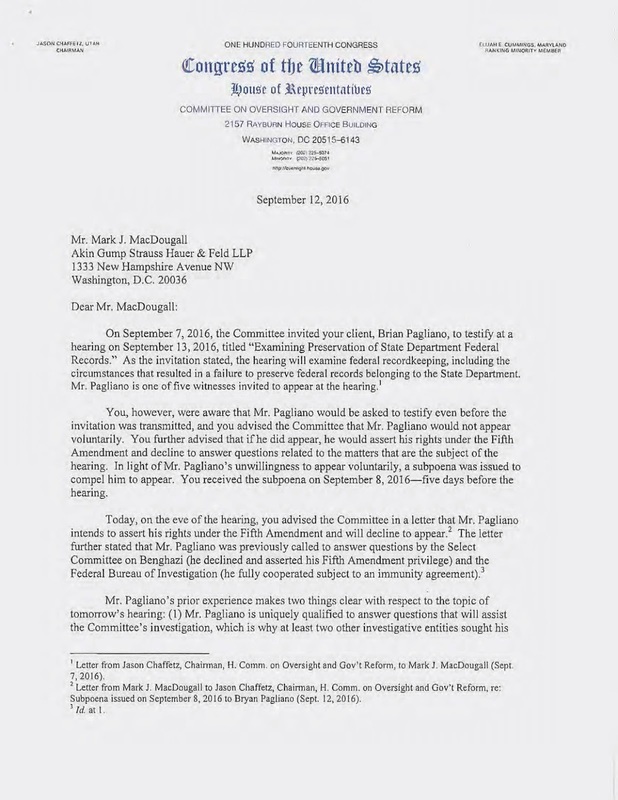 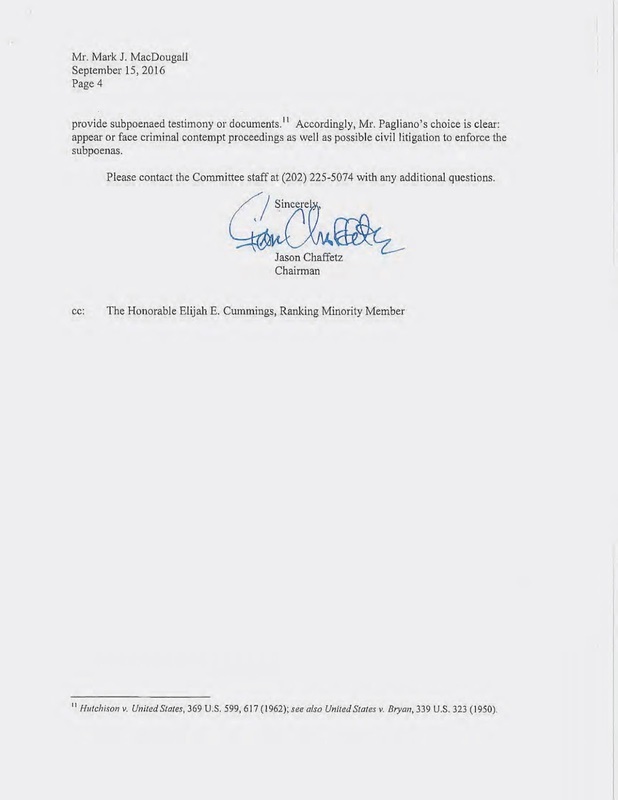 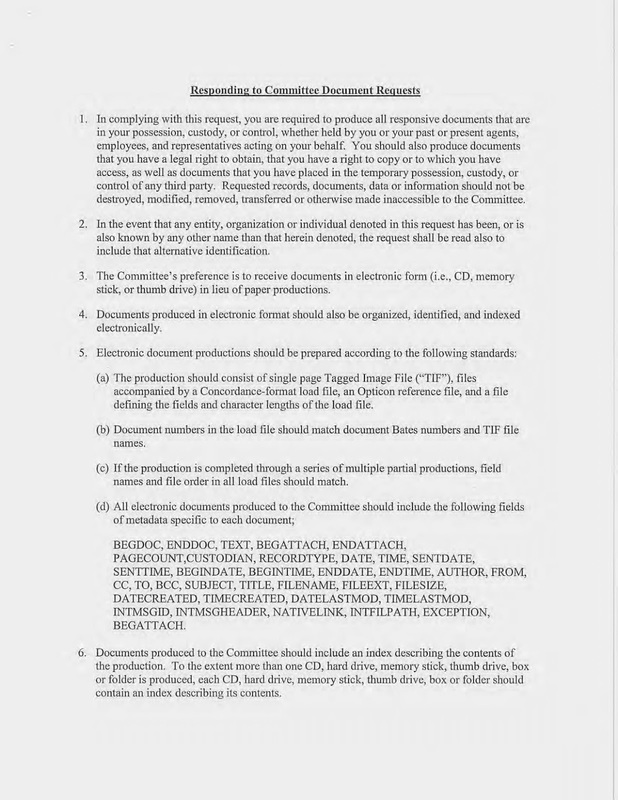 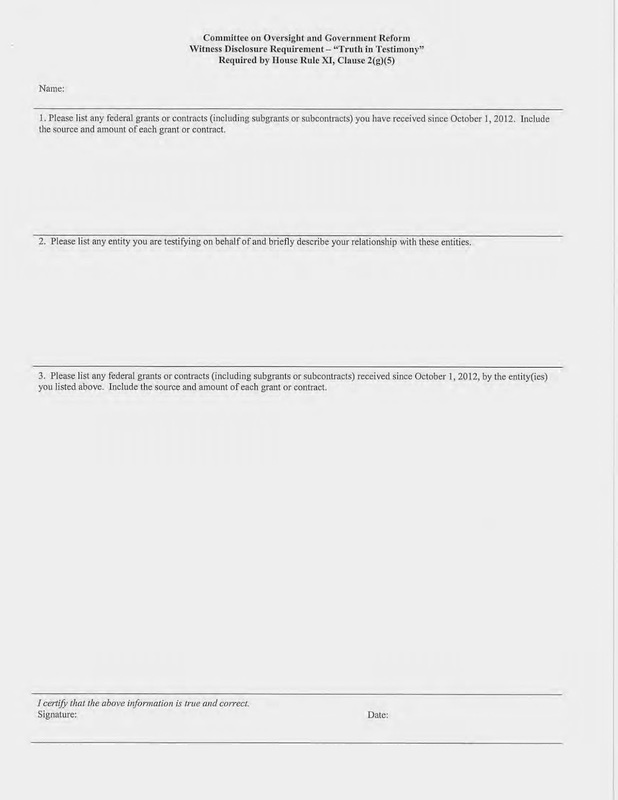 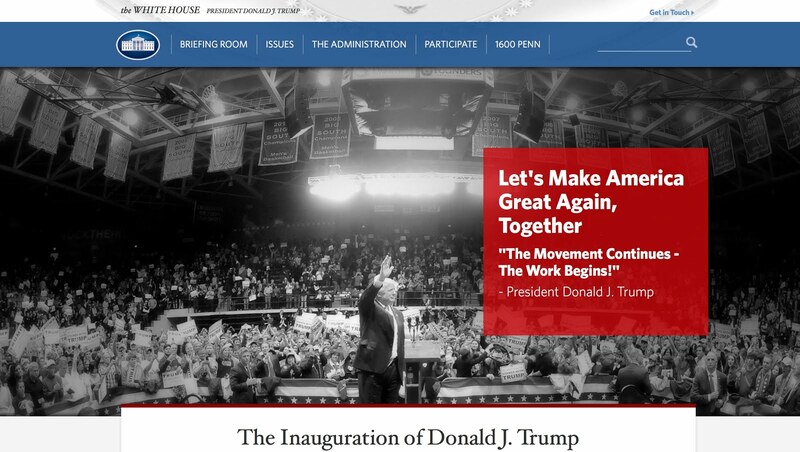 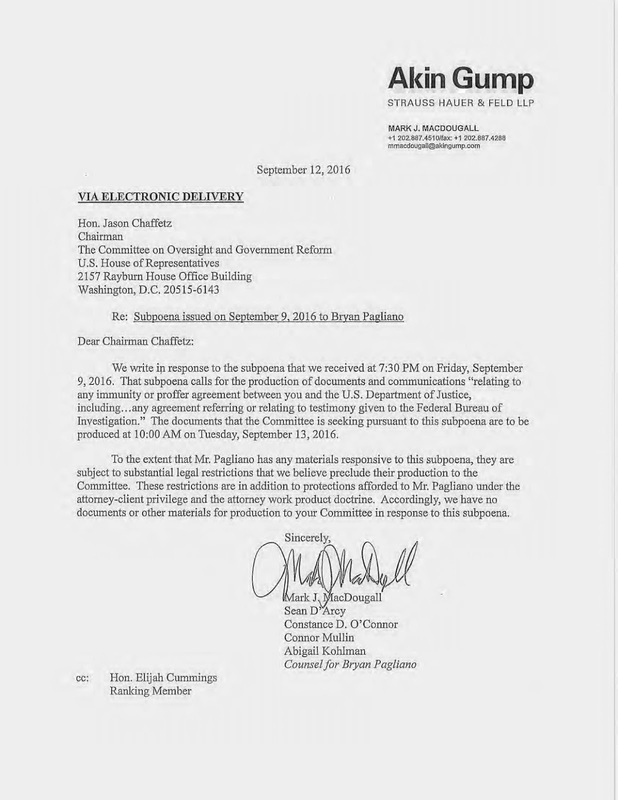 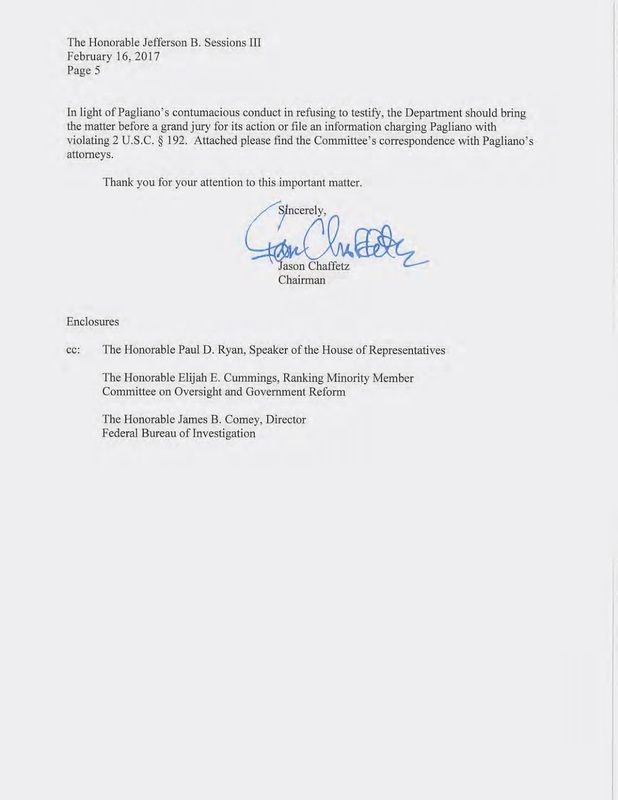 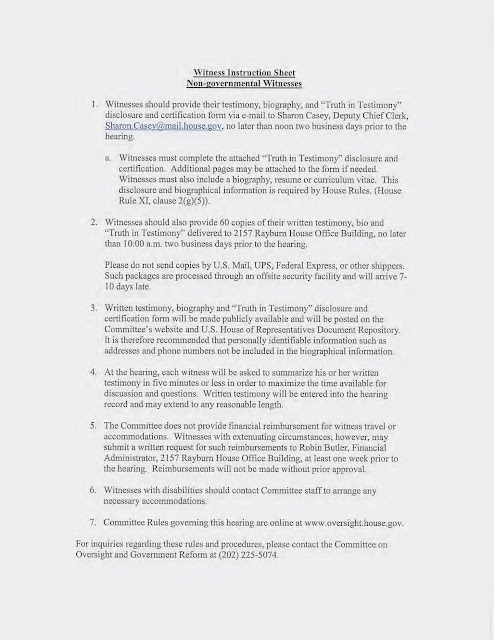 This stems from several attempts to have Mr. Pagliano appear before the House Oversight and Government Reform Committee in September, 2016 to testify with regards to the private server set up for then-Secretary of State Hillary Clinton. 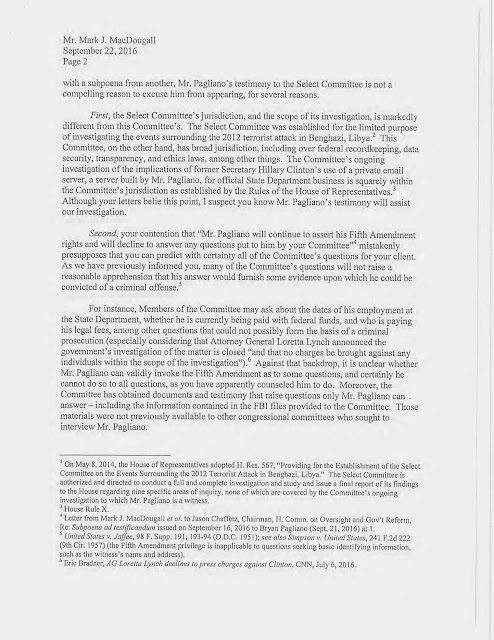 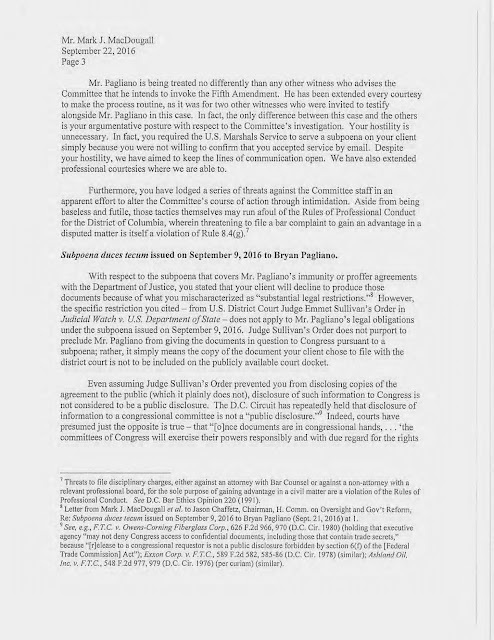 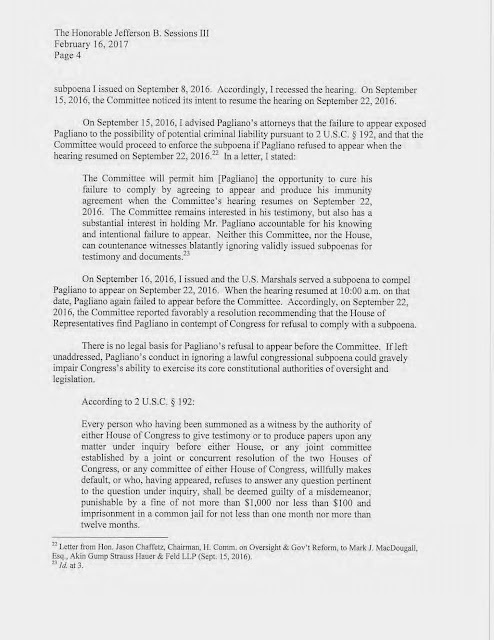 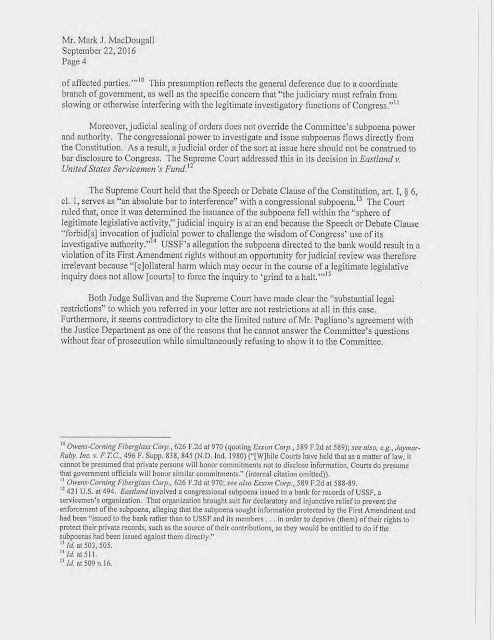 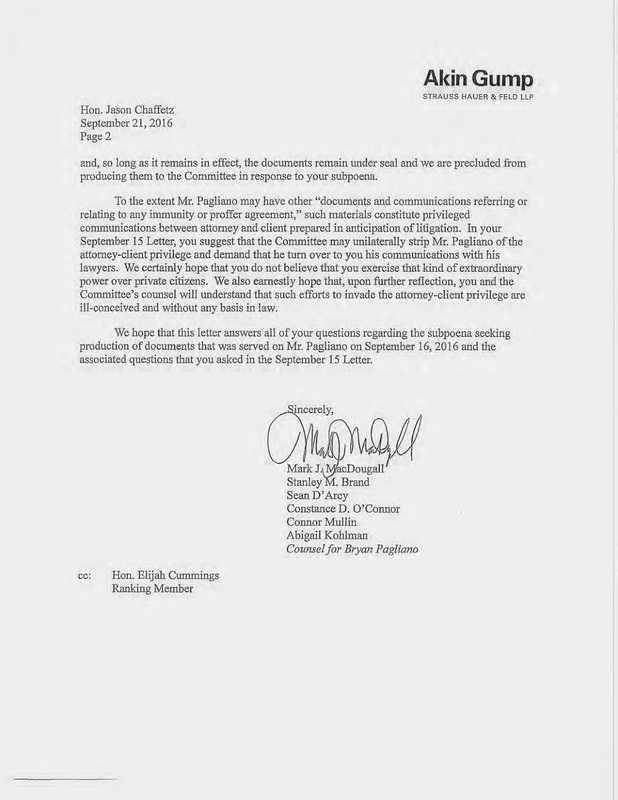 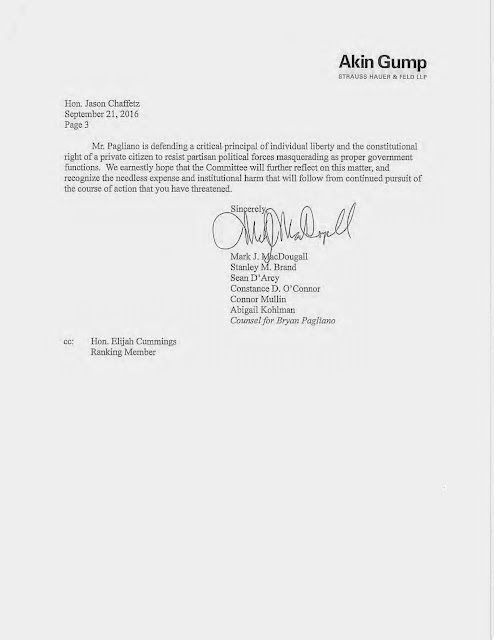 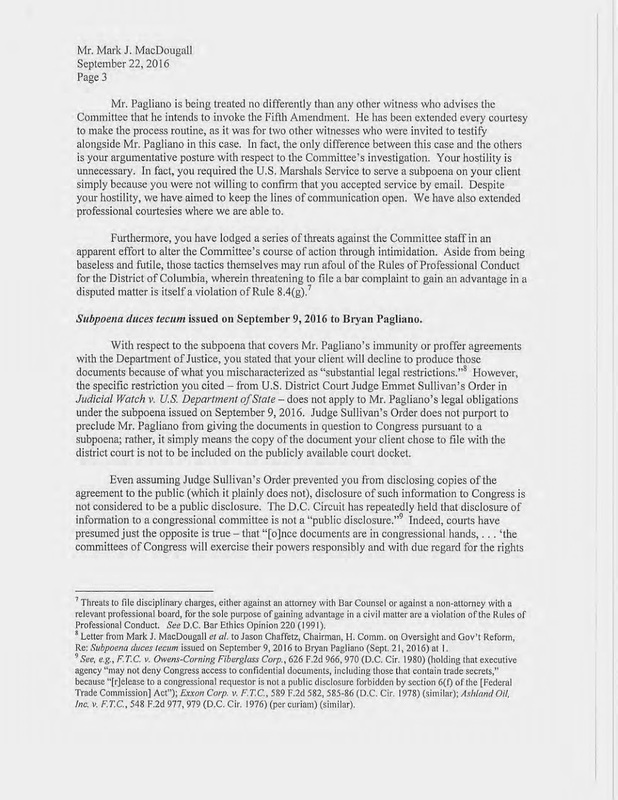 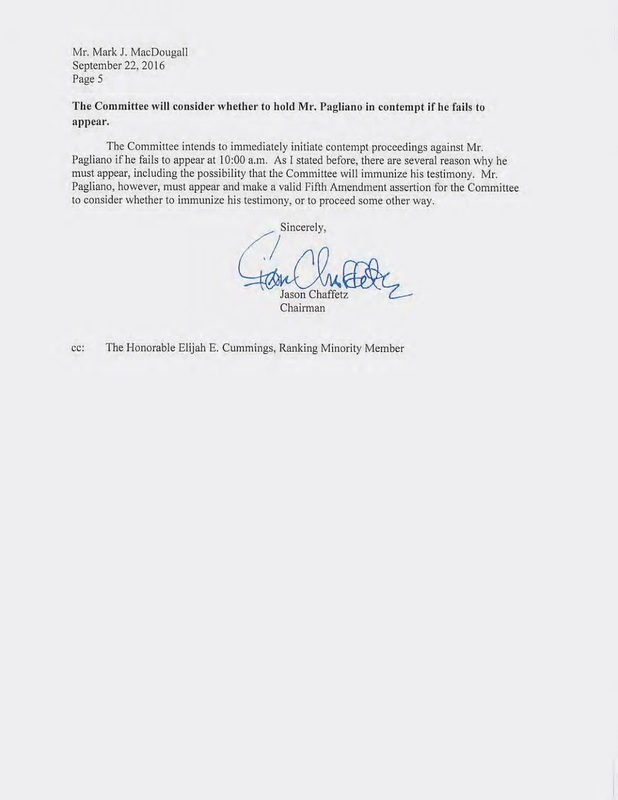 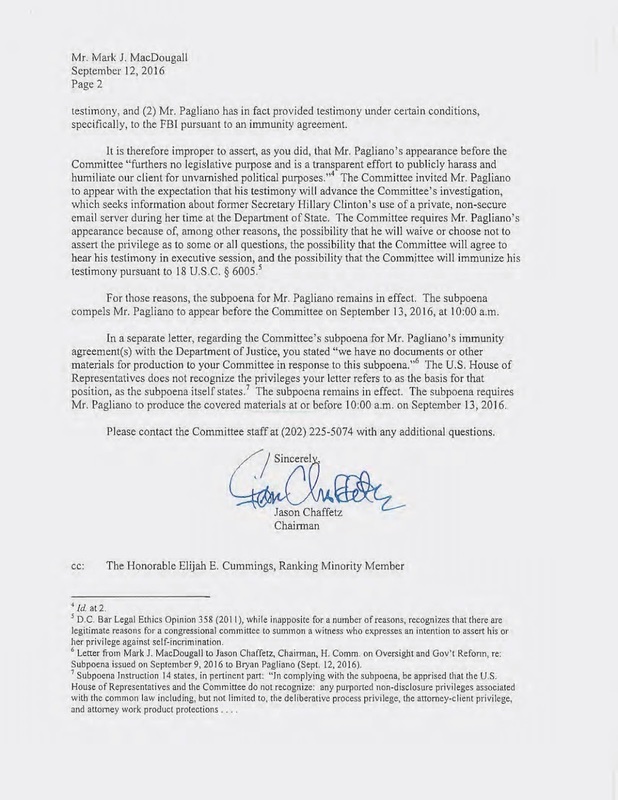 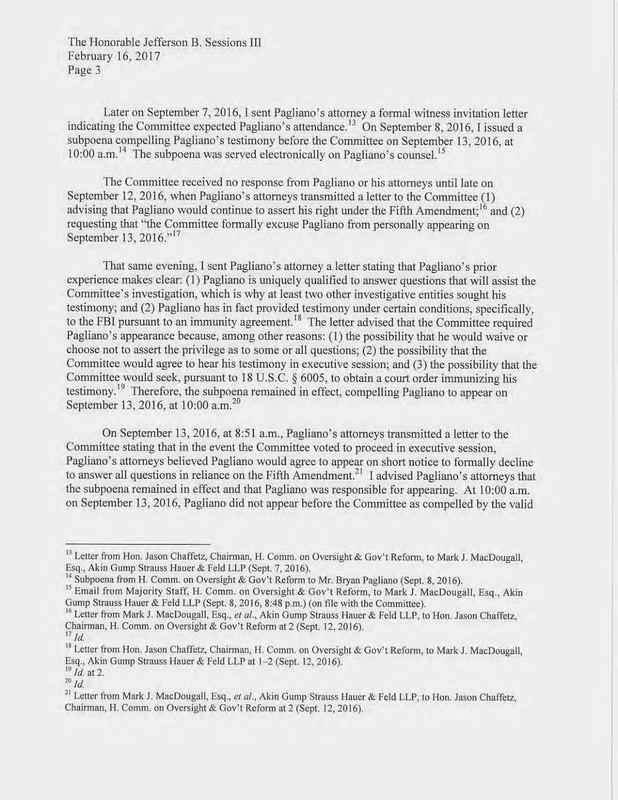 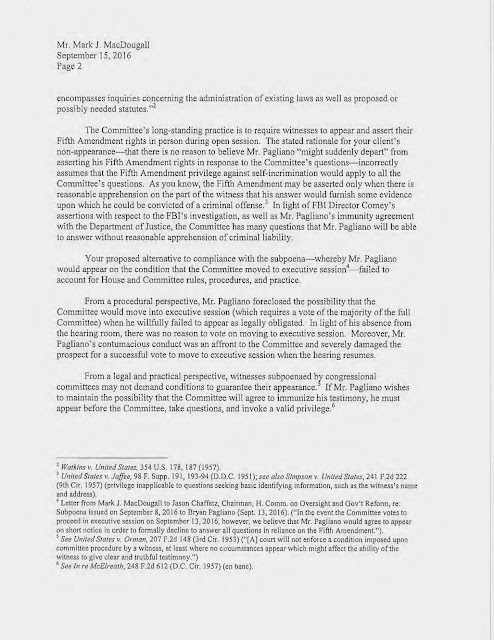 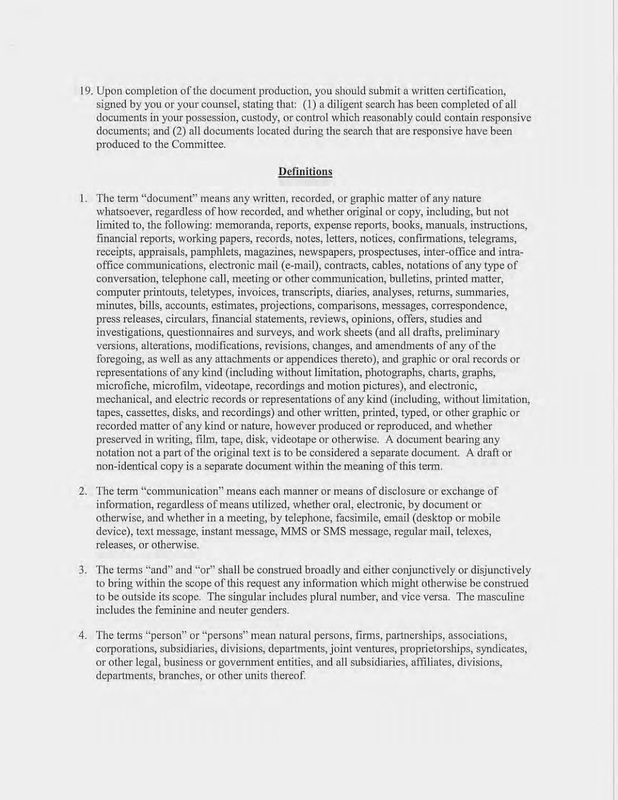 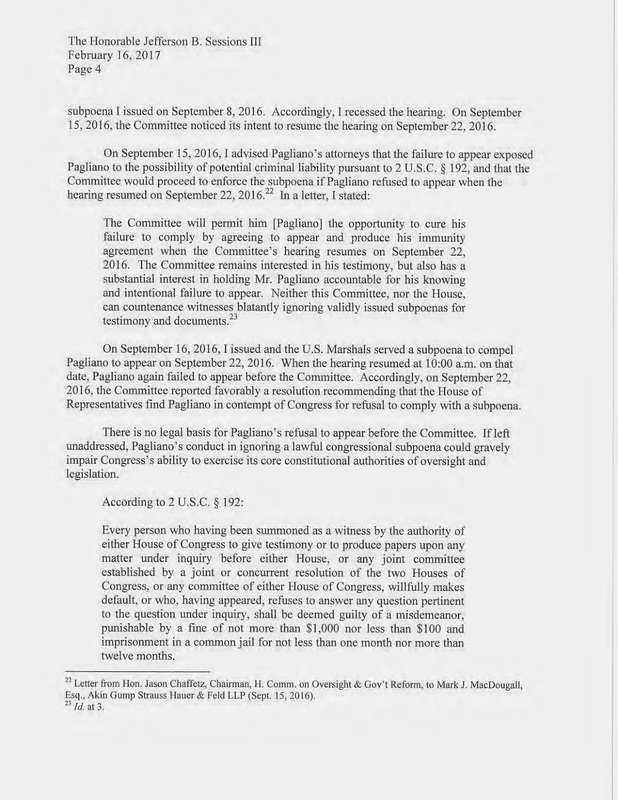 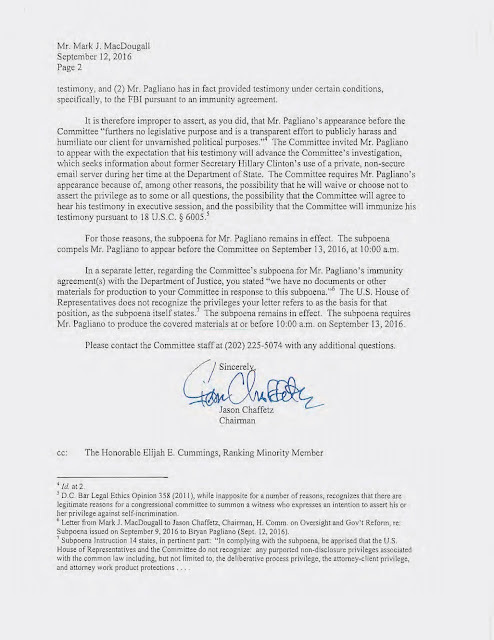 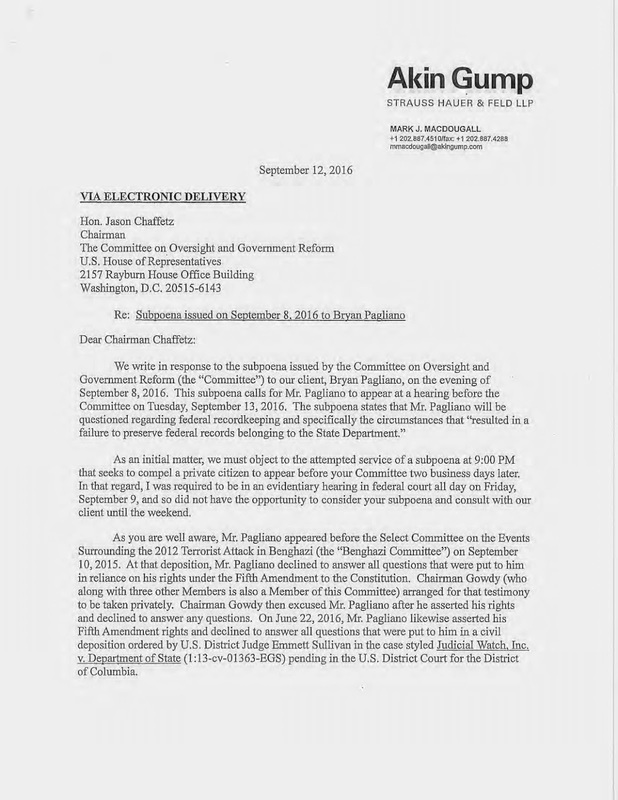 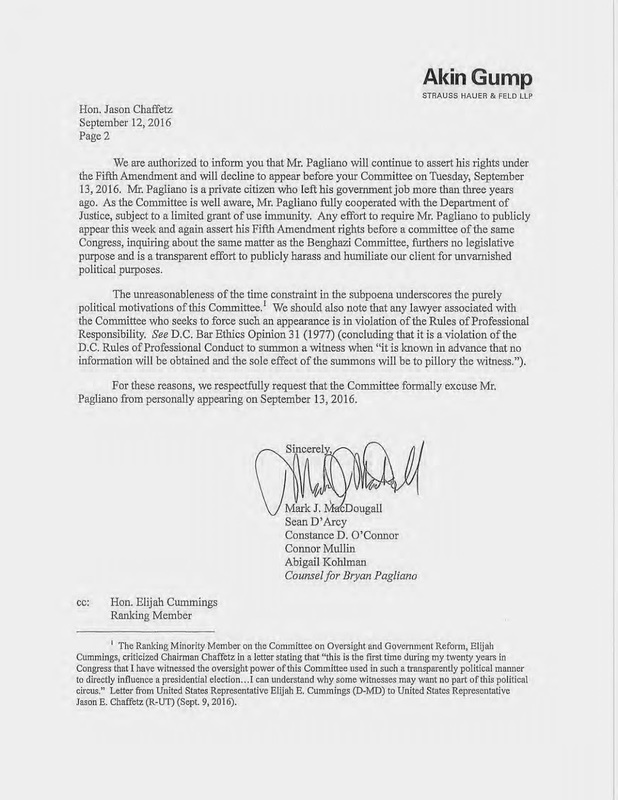 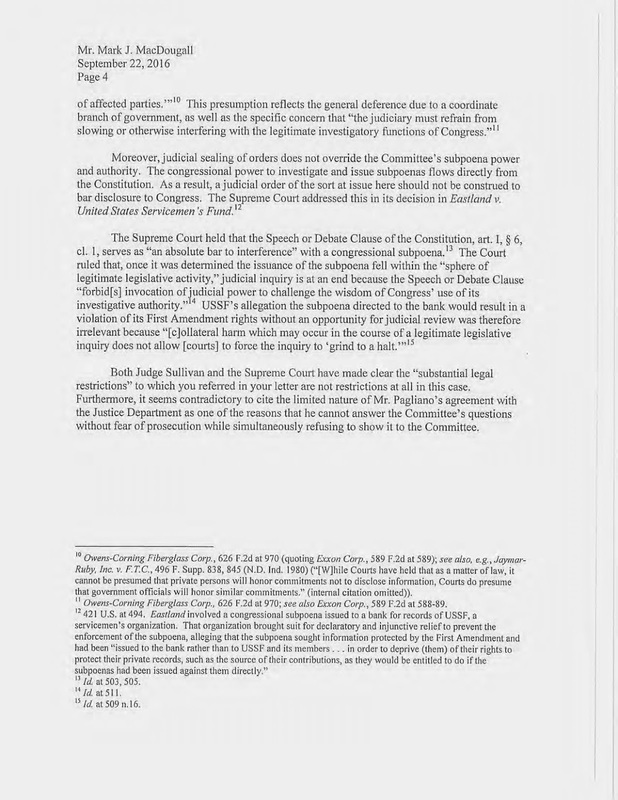 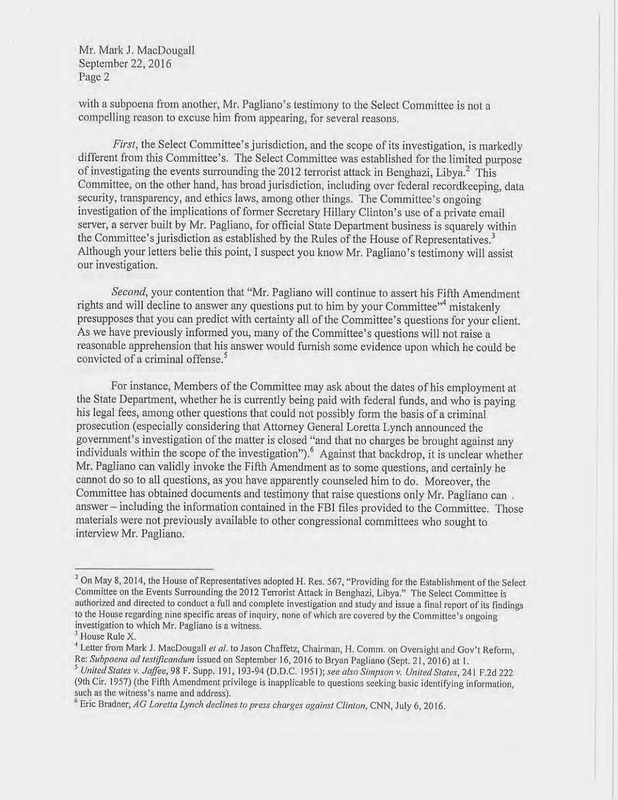 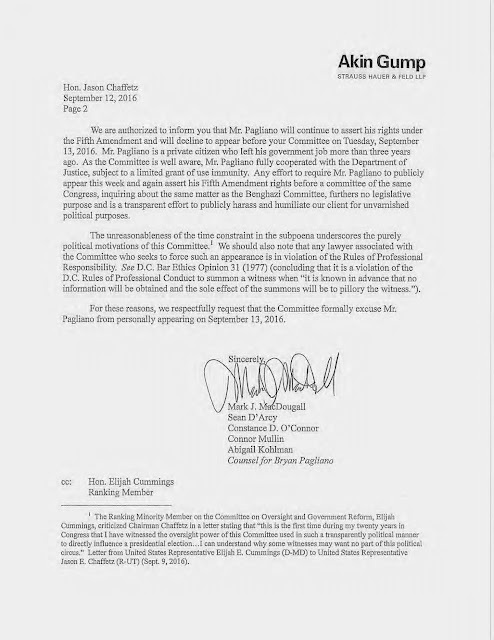 Pagliano had intended on pleading the 5th, meaning, he had no intention of responding to questions, however, there was a lawful subpoena issued for his appearance, as well as his immunity agreement with the Department of Justice. 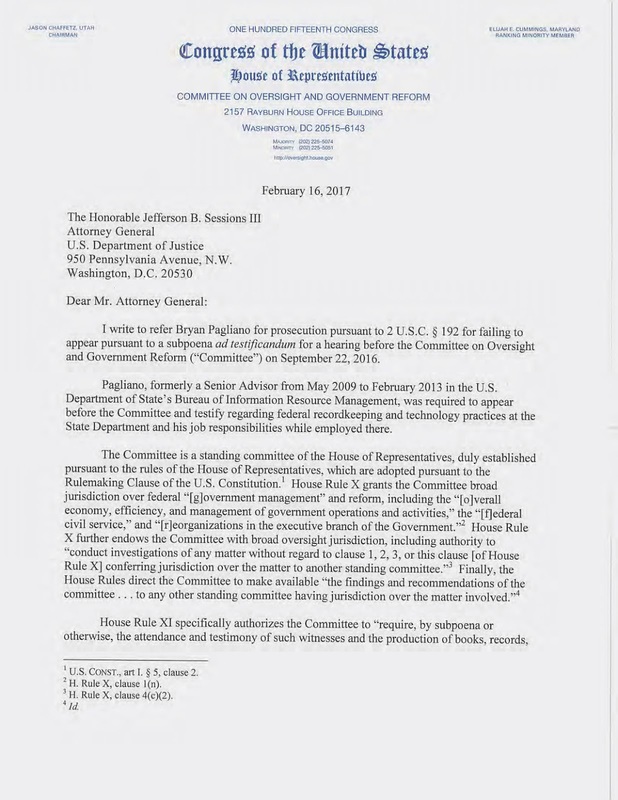 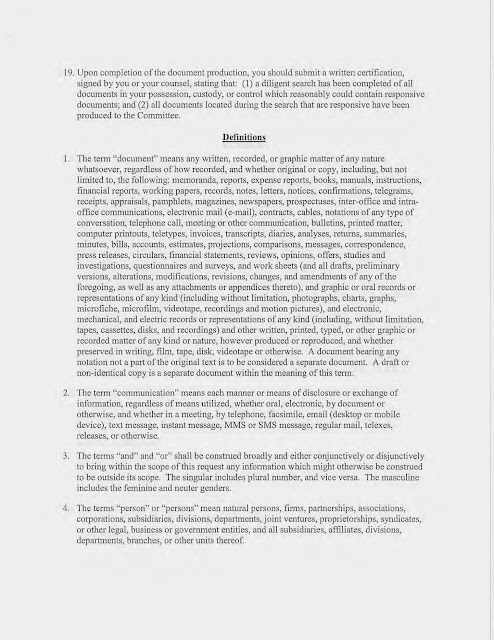 Since he did not appear, and since he did not produce his immunity agreement, Jason Chaffetz has now requested that Attorney General Jeff Sessions issue and summon a Grand Jury to determine if criminal charges can / shall apply for this act of defiance.